Photogrammetry is the technique of measuring objects in 2D or 3D from photographs. The results of these photographs can be used for topographical and thematical maps. One of the most important features is that the objects are measured remotely and sometimes the term 'remote sensing' is used instead of photogrammetry. Remote sensing is a fairly new term, which was originally confined to working with aerial photographs and satellite images. Today, it includes photogrammetry, although it is more closely associated with image interpretation. The applications of photogrammetry are widely spread but Aerial Photogrammetry is mainly used to produce topographical or thematical maps and digital terrain models. At least two or more photographs are taken from different positions. They are made using special metric cameras, that are built into an airplane looking straight downwards. 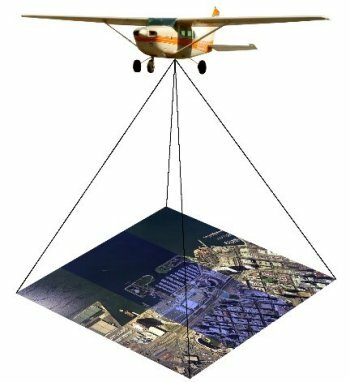 While taking the photographs, the airplane flies over a certain area, so that the whole area is covered by overlapping photographs. 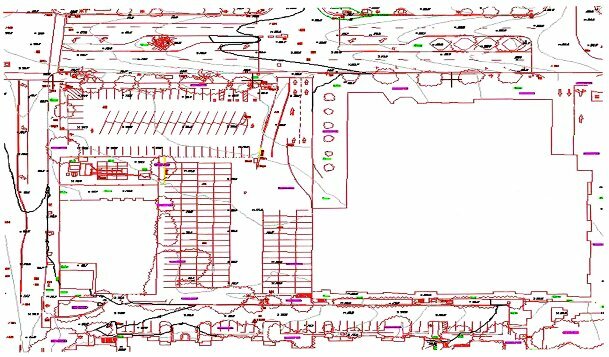 The overlapping part of each image can be viewed in 3D and consequently digitally mapped in 3D using special software.